Most of you probably have already seen the multitude of Blogs on the Blackberry Client for Lotus Connections. The client will be available to customers on May 5, and is currently in Beta within IBM. 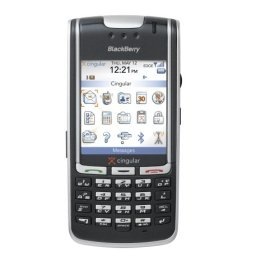 As soon as I saw the announcement that was sent to the Lotus Social Software community, I went on and downloaded the client to my Blackberry 8830. Now, one important thing that I didn't catch at first is that only Profiles and Dogear are native applications to the Blackberry. Communities, Blogs and Activities are accessed via your normal Blackberry browser. The big disadvantage with this approach is that when you go to Communities/Blogs/Activities, the tag cloud takes a LOT of real estate on my small Blackberry screen. So let me concentrate on the Profiles and Dogear application. You can search by tags or by a combination of any of the usual fields: First name, Last name, Phone, Email, etc! I did a search on first name Gia and last name Lyons and I got her profile back in 6 seconds! The search results include the user's full name, their job title, email and main phone number. 'Clicking' on the search result, you are given 3 options: View Profile, Email user or Call user! Now that's very cool. I can call someone right from the Connections application!! If I choose 'View Profile' it takes about 4 seconds to fetch all of the user's information. As any other Blackberry application, you can highlight a phone number and an email and perform an action there. Something I would like RIM to add, the capability to copy a user's contact information to my Blackberry address book. Right now, you can only copy ONE field (e.g. mobile phone) to your address book, and YOU are expected to type in the rest of the information. Frankly, I would have expected a more integrated application from RIM. When you launch the Dogear application, you are given 6 options: Search, Add New Bookmark, View All Bookmarks, View Popular Bookmarks, View My Bookmarks, and View My Watchlist. The first two options, of course, require further action on your part and the next 4 options simply fetch the correct RSS feed and displays it on your Blackberry screen! When searching a bookmark you get the typical options: either search your bookmarks or search all bookmarks. A search for 'connections blackberry' takes about 6 seconds!! The search results only include bookmark title, who bookmarked it, and the date. You can see more details about the bookmark by clicking on it and selecting 'View Description'. As expected, clicking on a search result gives you the option to open the link in your Blackberry browser (which then gives you the option to bookmark the link locally!). Adding a new bookmark also provides the typical UI: web address, title, description, tags and whether or not the bookmark should be private. The client, however, does not provide the capability to also add the bookmark to an activity, blog, or community. Granted you are probably not going to do that while you are mobile, but it would be cool just to have that feature . I really hope RIM can get native client for Blogs going. This client would allow me to read blogs that I subscribe too as well as publish quick notes while I'm on the go (i.e. the Hertz shuttle, stuck on a runway/taxiway at JFK, waiting in line to go through security, etc...). Until then, this is great!!! I no longer have to use my Blackberry browser to go on Bluepages and search for IBMers -- from now on I'll use Profiles! !